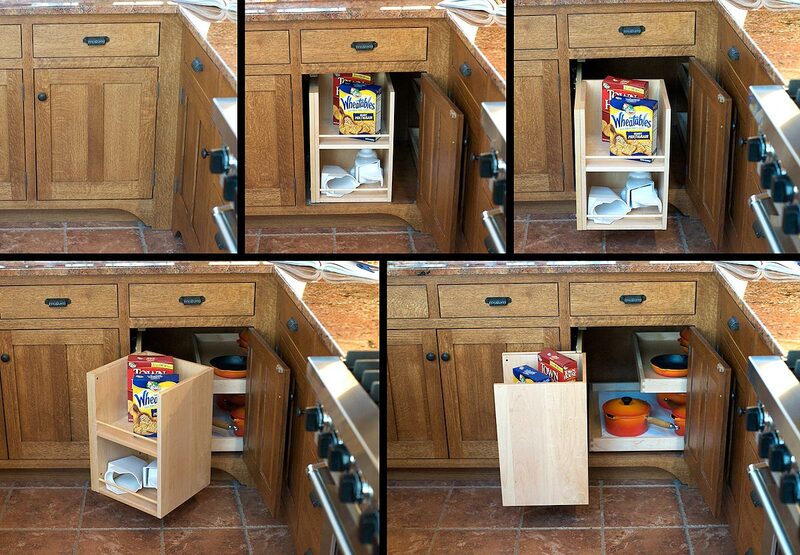 Solid and sturdy, this Craftsman Style Kitchen stands up to any and all use that a budding chef can throw at it. 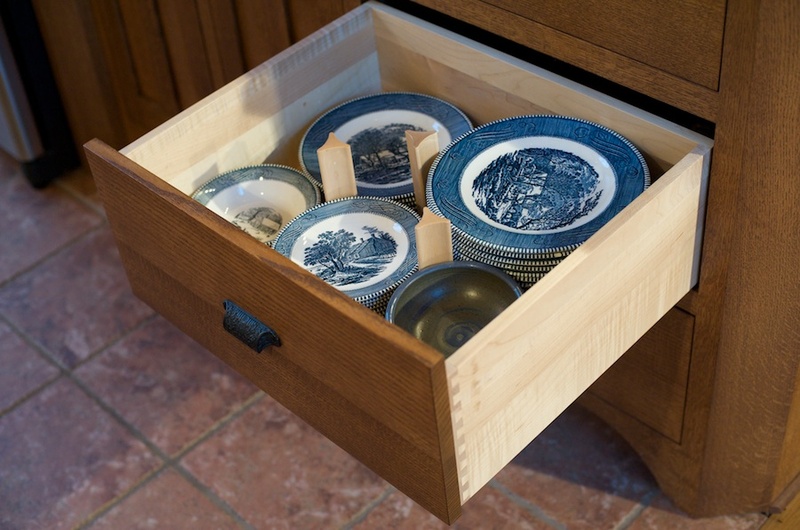 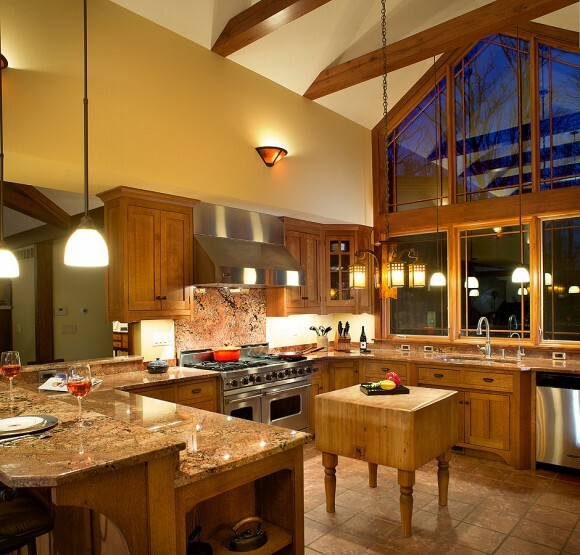 Quarter Sawn Red Oak cabinets are topped with granite counters, and a freestanding butcher block island is perfect for all the chopping, dicing, quartering and slicing your favorite recipes demand. 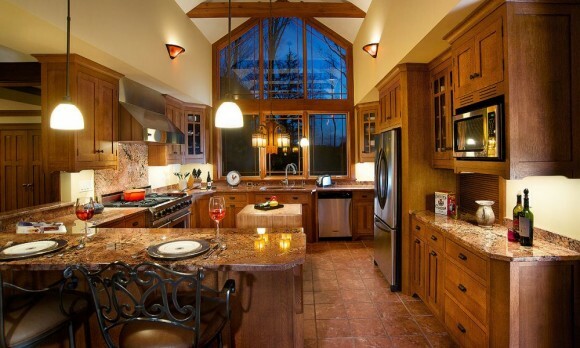 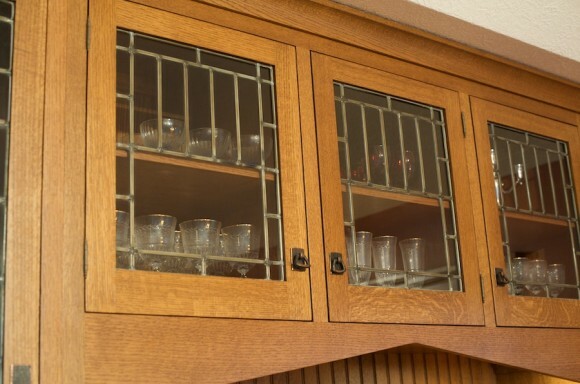 Leaded glass doors let you see what’s where fast, while also adding a hint of style to your culinary proceedings.